A new career related advertisement for Bihar Health Department recruitment has been evaluated by the Bihar Health Department. Those skilled and well-qualified job seekers must submit their application form for 1585 posts of senior resident / teacher before the deadline of September 14, 2018. Essential Education: Job searchers should have postgraduate degree or equivalent examinations from any recognized institution. The maximum age limit for candidates applying for the application is 37 years on 01-07-2018. Selection of applicants for senior resident / teacher will be based on consultation / interview. Visit the organization's web portal, which is http://www.health.bih.nic.in. Read the ads and instructions provided with care. Candidates can take printout of the deposits application for further use in the future. The date of introduction of online submission of the application is: 07-09-2018. Expiration date for online application: 14-09-2018. 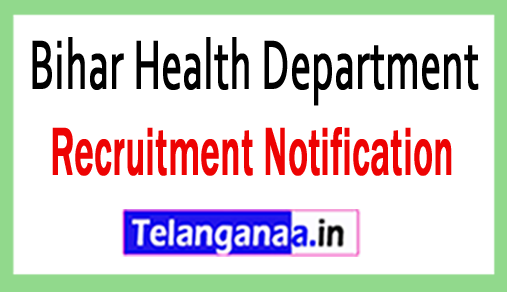 Click Bihar Health Department recruitment notification here.